Ever since Kangana Ranaut made her presence felt in the industry with her power-packed performance in ‘Gangster’ way back in 2006, she was being considered as the next big thing. And the gutsy woman did prove her worth with her choice of movies with each passing performance. Right from ‘Fashion’ to ‘Tanu Weds Manu’ to ‘Queen’, Kangana has grown by leaps and bounds. With three National Awards in her kitty already, the promising actress might just bag another one for her rocking act as Jhansi ki Rani in war-drama ‘Manikarnika: The Queen of Jhansi’. Getting on the other side of the camera for the first time, along with director Krish Jagarlamudi, Kangana Ranaut shows why she is one of the most bankable female actors in the Indian film industry today. The story of Laxmibai, queen of Jhansi, is not new to Indians, who have grown up reading and hearing about her legendary tales. Khoob ladi mardaani woh toh Jhansi wali rani thi is one line, describing the heroic queen that Indians refuse to ever forget. Unarguably one of India’s most revered woman freedom fighters, Laxmibai was a warrior queen, who fought till her last breath to save her motherland from the clutches of the British. The newly-released ‘Manikarnika: The Queen of Jhansi’ traces her epic journey from being a naïve, young and carefree Manikarnika to a brave and valiant Laxmibai, who does not give up even in the face of adversity. Born in Varanasi to Moropant Tambe, the advisor to the Peshwa, young Manikarnika is adept at horse riding, archery and shooting and is trained in warfare by her father, unlike others during that time. Married at a very young age to the king of Jhansi, Gangadhar Rao Newalkar, Manu, now renamed Laxmibai, takes on the responsibility as the new queen. Soon after her son dies, the couple adopts her brother-in-law’s son and subsequently the king passes away due to ill health. Not bogged down by customs that a widow has to follow, Laxmibai rises fearlessly against the British, who want an heirless Jhansi as a vassal state. The movie follows the journey of the fearless widow, who puts her kingdom and her people above all else. Tying her adopted son on her back, the brave warrior queen refuses to bow down to diktats and fights against those that try to put her in chains. Laxmibai rose in rebellion against the Raj and actively took part in the Revolt of 1857, helping in her way, to drive the Britishers away. Technically, the film is a masterpiece. K V Vijayendra Prasad’s screenplay, along with true-to-the-fact script weaves magic on the screen. Shankar-Ehsaan-Loy’s music is easy on the ears. But the action choreography towards the climax, along with Kiran Deohans’ visually-striking cinematography takes the cake. The film rises a notch above the average because of these technical details that the makers kept in mind while making the film. Prasoon Joshi’s dialogues pack quite a punch and action on the screen sure evokes patriotism. As for the cast, Kangana breathes fire in the role, which any actor would want to portray on the silver screen. Danny Denzongpa as Ghulam Ghaus Khan is superb. Bengali cinema star Jisshu Sengupta is first-rate as Gangadhar Rao and same goes for Suresh Oberoi, who was cut out to play the Peshwa. TV star Ankita Lokhande as Jhalkaribai is good, though she doesn’t get enough chances to prove her mettle. Sadly, even an actor of the stature of Atul Kulkarni gets wasted, not getting much scope to play his role of Tatya Tope. 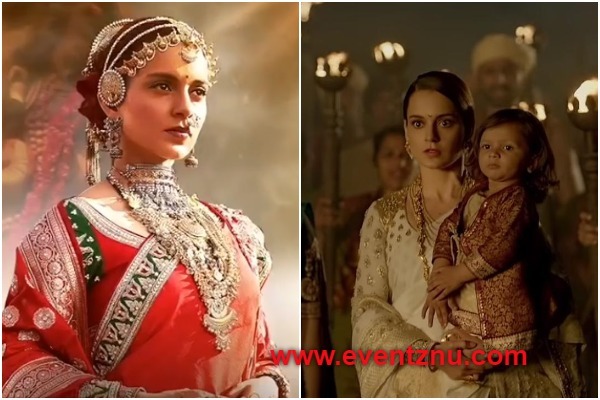 With Kangana at the helm of the movie, bringing alive a story told and retold many times over, ‘Manikarnika: The Queen of Jhansi’ aptly lives up to the Republic Day fervor this year. Watch it for the sheer brilliance of an actor, who takes the film to a different level altogether.